Treat yourself to the classics. 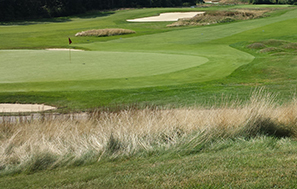 When you join the Tour, you play in tournaments on some of the best courses in New England, public and private. Places like Myopia Hunt Club and Red Tail; Eastward Ho! and Waverly Oaks; Wannamoisset and Granite Links; Essex County Club and Newport National. Play 990 outstanding holes. 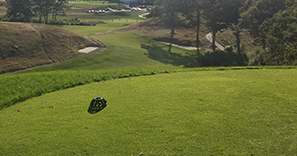 With us, you get more course choices than any other club — about 55 each year. From Golf Digest’s 2015 state rankings, we’ll play 3 of the top 10 (all privates) in MA, 5 of the top 10 in RI, and 2 of the top 10 in NH. Plus 45 other outstanding venues. No other club offers this combo of quality and variety. Play as many events as you like. Most Members play between 6-15 events a year. Some play 40. Admittedly, it’s hard to choose. Event registration is a website-based, pay-as-you-go system. On the course, it’s always a professionally run tournament. Not only that, we have a pace-of-play policy to keep things moving. Check out this year's schedule. Or better yet, join The TOUR!